Multi fuel stoves Wakefield and beyond are becoming the product of choice for consumers who want to heat their homes efficiently, without it costing the earth. And that’s not only in terms of expense! Yorkshire stoves that don’t rely on fossil fuels to produce household energy can be far kinder to the environment than the fossil fuel based gas and electricity we’ve relied on in recent years. But what is a multifuel stove and what makes it a better alternative to gas fires or central heating? In short, a multi-fuel stove is very much like a wood burning stove, but it can also be fuelled by smokeless fuels rather than just by wood alone. If you look at wood burning stoves in operation, you’ll notice that the fire is burning directly on a bed of ash. Multi fuel stoves Wakefield and beyond, on the other hand, typically have an ash pan and grate below the fire. This is because of the different ways in which various materials burn. Wood burns best when there’s just an air supply above it. By contrast, other substances like smokeless fuels need an air supply underneath to burn most efficiently. So a multifuel stove will always have a grate, a metal frame to allow air to circulate below the flames; and an ash pan, to catch burnt ash and prevent it from blocking that air supply. But whether you choose wood burners or multi fuel stoves Wakefield, one thing remains constant, and that’s that you’re doing the planet and your pocket more good than harm. Both types of stove are far more efficient in terms of heat produced for the cost; and produce far less carbon dioxide than electricity or gas. Why not explore your options for a different type of heating in your home with us at Leeds Stove Centre? 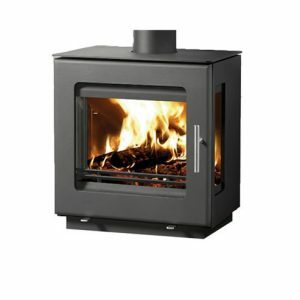 There’s useful information throughout our website at https://www.leedsstovecentre.co.uk/. You can also call us on 0113 255 5622 with queries, or visit our stoves West Yorkshire showroom to see our products in action!